You are here: Home / Patrol Method / What Do Scouts Decide? There’s a lot of discussion about who makes decisions about what activities Scouts put on their schedule. 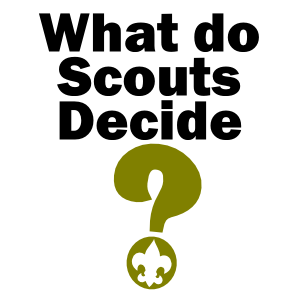 What do Scouts decide? Should adults be part of that process, or must we always allow Scouts to make these decisions? 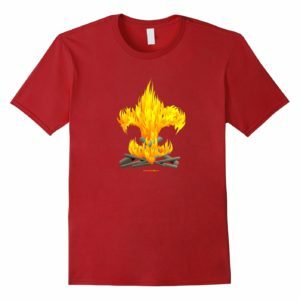 Some would argue that who makes these decisions is a good test of whether a troop is youth-led or not. ‘Youth led” is a key component of the patrol system, so the question we ought to be asking is if we are applying the patrol system. I think it’s safe to say we sometimes place too much value in the “what and were” decisions in Scouting and don’t think enough about the “why, how, and who”. Where you go camping is inconsequential, how you go camping is everything. 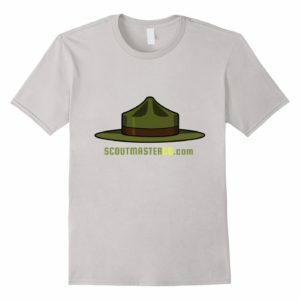 All of Scouting’s program elements (pioneering, backpacking, cooking, cycling, canoeing, etc.) are slightly different iterations of putting the patrol system into practice. 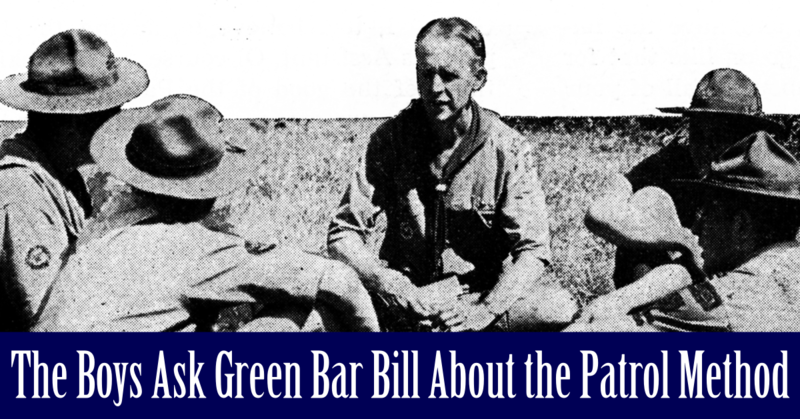 We could return to the same campsite ten times a year and do ten different things, or the same thing each time, but in the end applying the patrol system is all that really matters. If you ask a patrol leader’s council to start with a blank calendar and fill it in you are asking them to re-invent the wheel. 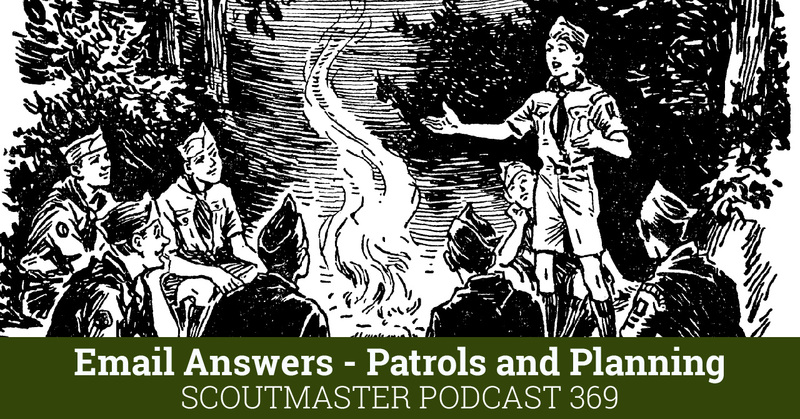 Some Scoutmasters complain if patrol leaders choose the same activities from year to year, there are a few that require they don’t repeat anything from one year to the next. I don’t see any appreciable difference between a camping trip to a local park where patrols are functioning at a high level, cooking, hiking, playing games, and a high dollar trip to an incredible something-or-other. I like a change of scenery, enjoy a big exciting activity or challenging adventure; but I see comparatively little value in those things when compared to the real work of Scouting that happens in a humble campsite set up by a patrol. A common counter argument is “If we don’t go to different places and do different things our Scouts will get bored and quit”. This is only true if you aren’t applying the patrol system. 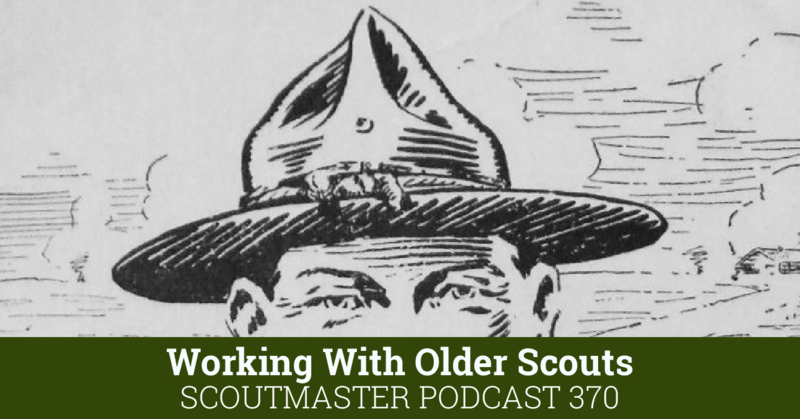 Scouts, especially older Scouts, aren’t nearly as interested in doing new, different, big things as they are in the patrol system. They are endlessly inspired and energized when they have real responsibility with the accomplishment and freedom that comes from governing themselves, If they are just participants in various activities and those activities don’t change, yes, they will get bored and quit. 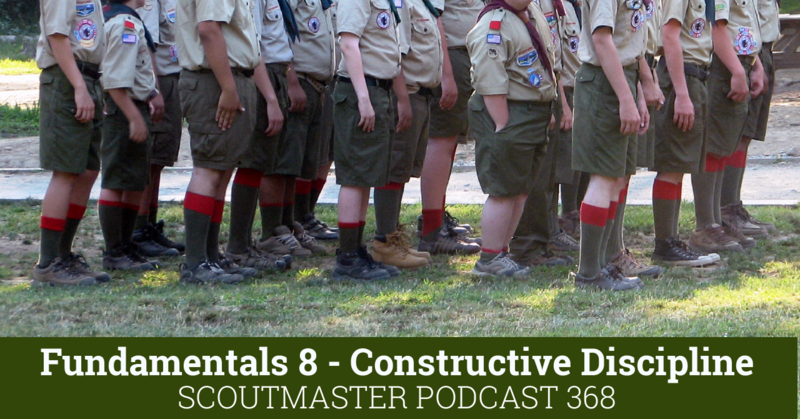 All that being said Scout should choose their own activities, and adults should respect those decisions so long as they within the bounds of the program. We encourage invention and innovation, but I don’t think we need to require it. Some of my Senior Patrol Leaders have been very energetic and interested in new ideas, some are happy to use ones we have repeated many times. Who makes ‘were and what’ decisions is a small percentage of what constitutes any objective indication of a troop applying the patrol system. The “why, how, and who” are much more important. Thanks to John Nelson from West Chester- Troop 947 for getting me thinking about this! 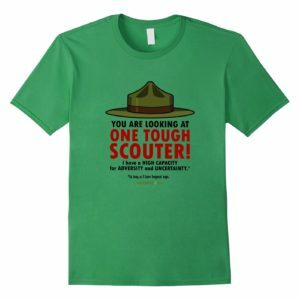 Next month is our Patrol Adventure Campout. — we will run it like a camporee, but inside the troop, and I hope we get all 7 patrols out in strength to compete. We are also asking a few webelos dens to come out and complete as well. Our SPL has asked various adults to run the stations so all the scouts can compete. He hasn’t told me yet what the stations are and which adults he has asked and he may or may not (unless he needs something). At the end of the last meeting as he was leaving I asked if he needed help in setting up the stations or getting adults to run them and he said he already had most of them set up and had a few others to still call. It is the perfect outcome of “if you don’t trust them in small decisions you can’t expect them to do the large decisions.” Our PLC does plan every campout and choose all the locations in our annual planning conference. I need to remember to ask what’s going on 🙂 Oh and before any respond that I do not have enough oversight and control, my SPl and does follow well the other adage “rule 1: don’t surprise me, and rule 2: don’t ever violate rule 1). 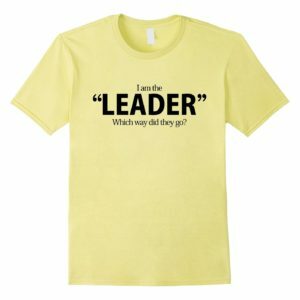 He knows he has total control and has to stay inside the guidelines of the Guide to Safe Scouting and the other ideals we teach, but our (adult) teaching is with our youth leaders. We train them, mentor them and guide them and then get out of the way and let them lead. 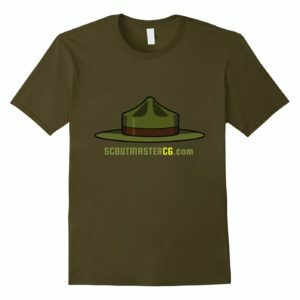 I like that and I can get back to my coffee and discussions with other dedicated adults while the scouts enjoy their independence. Thanks for helping me chill out about the ‘variety of outings’ issue; they DO like to repeat but the depth of engagement can increase each time. 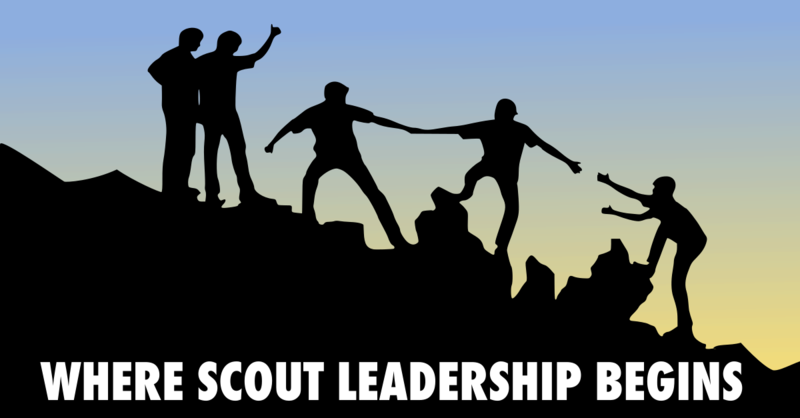 The PLC will usually vote for any new place/camp/idea that is enthusiastically presented; my observation over time is that Scout suggestions work well, and the adult ones not so much! As I guide the Scouts through planning, I find I am also guiding the adults to leave them alone. One of my best tools is pointing out to adults that the PLC regularly votes in a different set of events than what I want, too! An individual Scout can make a poor choice, but I have not found the collective wisdom of the PLC, or the Troop when electing, to be wrong. That is exciting, powerful and liberating!